Contrary to the popular belief that gluten-free diets carry health benefits, a new study published in the journal Diabetologia has found that higher the intake of gluten, lower is the risk of type 2 diabetes (T2D) in healthy men and women. So, people without celiac disease or gluten sensitivity should be discouraged from avoiding gluten. Andrew T. Chan, Division of Gastroenterology, Massachusetts General Hospital, Boston, USA, and colleagues conducted the study to the determine the association between gluten intake and long-term type 2 diabetes risk among Americans. 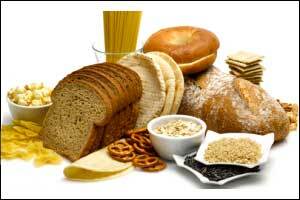 Gluten is a family of proteins found in grains like rye, wheat, barley and spelt. Of the gluten-containing grains, wheat is by far the most commonly consumed. For the study, the researchers followed women from the Nurses’ Health Study (NHS, n = 71,602, 1984–2012) and NHS II (n = 88,604, 1991–2013) and men from the Health Professionals Follow-Up Study (HPFS, n = 41,908, 1986–2012). Gluten intake was determined using a validated food frequency questionnaire every 2–4 years. Incident T2D was defined as self-reported physician-diagnosed diabetes confirmed using a supplementary questionnaire. Gluten intake was strongly correlated with intakes of carbohydrate components, especially refined grains, starch and cereal fiber. During 4.24 million years of follow-up, 15,947 incident T2D cases were confirmed. In combined analyses, HRs for T2D from low to high gluten quintiles were 1 (reference), 0.89 (95% CI, 0.85-0.93), 0.83 (0.80-0.88), 0.77 (0.73-0.81), and 0.78 (0.74-0.82) (Ptrend<.001). Further adjustment for cereal fiber attenuated the association, with pooled HRs for T2D of 1 (reference), 0.91 (95% CI, 0.87-0.96), 0.88 (0.83-0.93), 0.83 (0.78-0.88), and 0.87 (0.81-0.93) (Ptrend<.001). Gluten intake and T2D were more strongly associated after controlling for refined grains, whereas further adjusting for whole-grain intake attenuated the association (both Ptrend<.001). “The intake of gluten is inversely associated with the risk of T2D among largely healthy US men and women. Limiting gluten in the diet is associated with lower intake of cereal fiber and possibly other beneficial nutrients that contribute to good health,” concluded the authors.